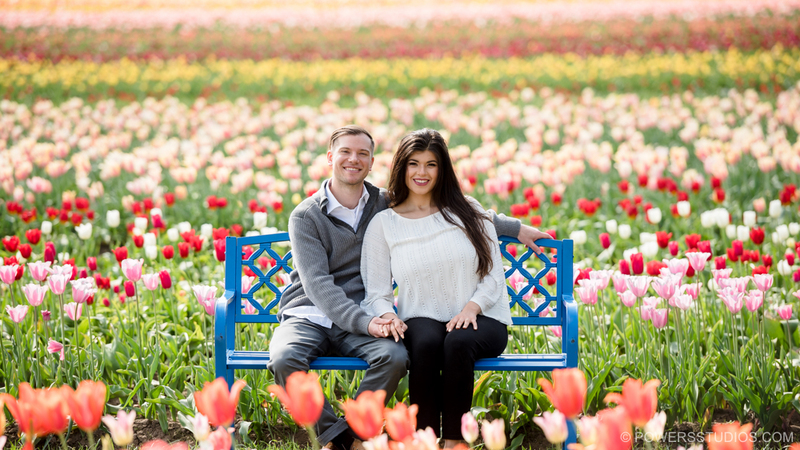 The Best Spring Engagement Photo Shoot Locations in Portland! Spring is here and the flowers are blooming! What better way to celebrate the season by scheduling your spring engagement photo shoot? We hand selected our absolute favorite engagement session locations that truly captures the essence of spring! Laurelhurst Park and Crystal Springs Rhododendron Garden offer the chance to stroll around a park bursting with blooming flowers, whereas Washington Park offers a luscious forest backdrop. Wishing to still capture an urban feel? Look no further than Waterfront Park! This park is full of cherry blossoms just waiting to brighten the feel of your photos! For an even grander spring floral feel head to Wooden Shoe Tulip Farm. This farm is absolutely a must see! Tulips as far as the eye can see and in every color imaginable! No matter which location you choose, your engagement session is destined to be a unique and perfect experience for you and your loved one!